Applecross has a rich built heritage, but Clachan Church is considered by many as the iconic building of the area The present church was built in 1817 on the site of an earlier parish church, and belongs to the Applecross Trust. Much of the significance of the church relates to its position within the Scheduled Area of Applecross’ monastic settlement. Due to its associations with St. Maelrubha, Clachan is of international religious significance. After St. Columba, St. Maelrubha is regarded as the second most important saint in NW Scotland. His monastery lies within Clachan Church grounds and acts as an important Christian site of religious pilgrimage. Traditionally a venue for religious worship, weddings and funerals, the church has also been used in recent years for secular events respectful to the surroundings, including music. However, due to lack of facilities such as toilets, heating and adequate lighting, and with the gallery section and windows unsafe even for public access, Clachan Church has not been used to its full potential by the local community. 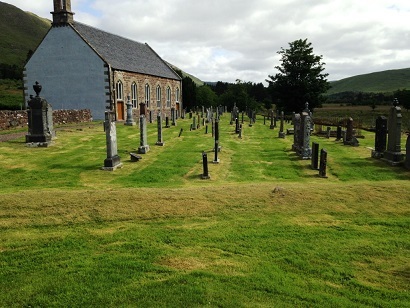 The Clachan Church restoration project took over three years to develop with work on-site finally beginning in November 2011. Project Managed by Allistair McCowan, the building saw over £250,000 of refurbishment, from a new roof, to new windows and doors. All work was completed in May 2012, and the church is once again open to the public, regularly used for events as well as funerals and weddings. Funding was provided by the Heritage Lottery Fund, the Highland LEADER programme, the Applecross Trust, the Garfield Weston Foundation, the Scottish Churches Architectural Trust, the Rannoch Trust and through community contributions.